Each year we thoroughly enjoy our ski trips because they are a lot of fun, and so I don’t get too rusty with my skiing skills! 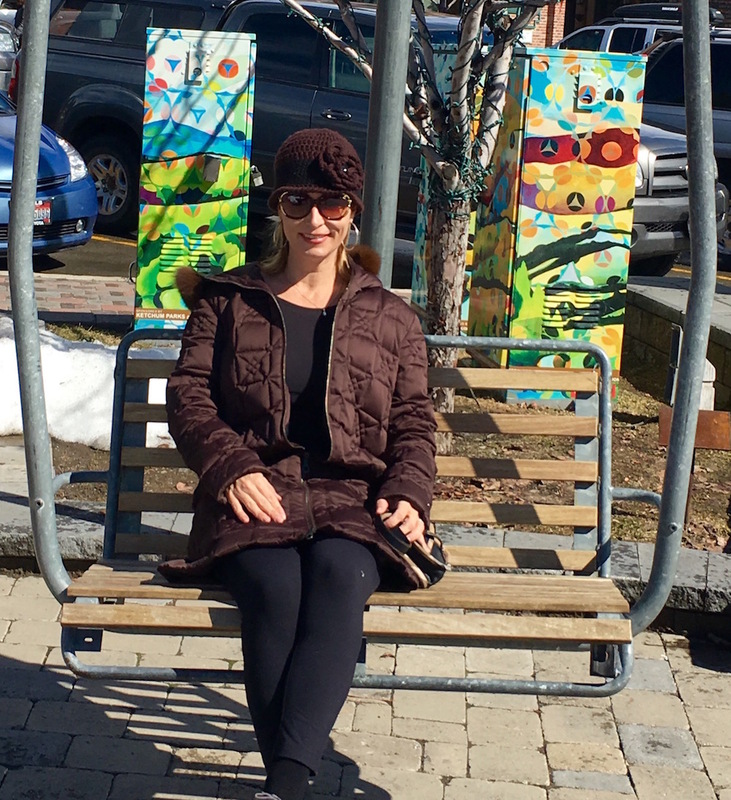 In March we embarked on our annual visit to charming Sun Valley, Idaho, with friends. And, as you know, a trvlvip success story wouldn’t be complete without touting my Luxury for Loyalty strategies that saved us a bunch of money on comfortable flights and a luxurious hotel. This year we decided to drive our new SUV from Seattle to Sun Valley, Idaho with a night in Boise. It was a great first road trip. We canceled two $125 Alaska Airlines tickets with no cancellation charges since we are both MVP Gold in the Alaska Airlines Mileage Plan program. By flying directly into Sun Valley from Seattle, we would have been able to enjoy the Alaska Airlines Ski the West promotion. Simply by showing our boarding passes, we would have been able to ski a half day for FREE the day of arrival and would have enjoyed a FREE sport ski rental package the day after arrival or 50% off an adult ski or snowboard group lesson! The value of the FREE lift pass is $75 and the sport ski rental is over $40 per person! Maybe next year! Our biggest win of the weekend was an incredible upgrade opportunity from the Sun Valley Lodge. We rented a four-bedroom condo for $600 per night to share with our friends. And upon arriving we were able to upgrade to a beautiful, spacious, four-bedroom house with a hot tub that retailed for well over $2,000 per night, for which we paid only $900 per night! Split between six people it was an excellent deal! If you don’t receive a complimentary upgrade before or upon your arrival at any hotel, a paid upgrades tends to be a lot more economical when you buy it upon arriving at the hotel. Instead of letting this house go empty, they chose to delight us with savings of over $1,100 per night. As a result of this generous gesture, they’ve secured six people who will always choose the Sun Valley Lodge for future visits! Sun Valley is a very special place. It’s America’s oldest ski resort, with some of the highest quality and most challenging ski runs in the Lower 48. And it’s easy to reach from Seattle (where we live) with less than a two-hour flight, and for our great friends, it’s a three-hour drive from Boise. 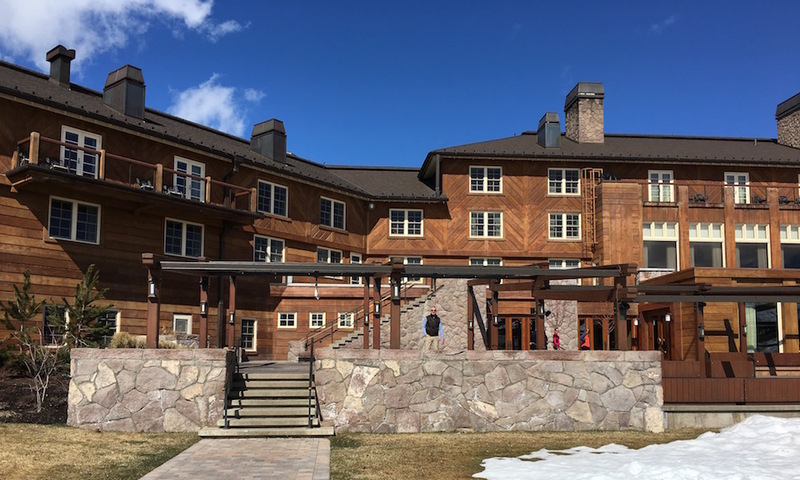 And we were very excited to see the major and impressive renovation the Sun Valley Lodge recently completed, just in time for their 80th anniversary! If you look closely you can see my husband in the picture! This historic lodge dates back to the 1930s, when Averell Harriman, chief of the Union Pacific Railroad, set out to find a sunny and yet snowy location on the train line for his dream resort. The Sun Valley Lodge was the first hotel in the town, built in 1936. 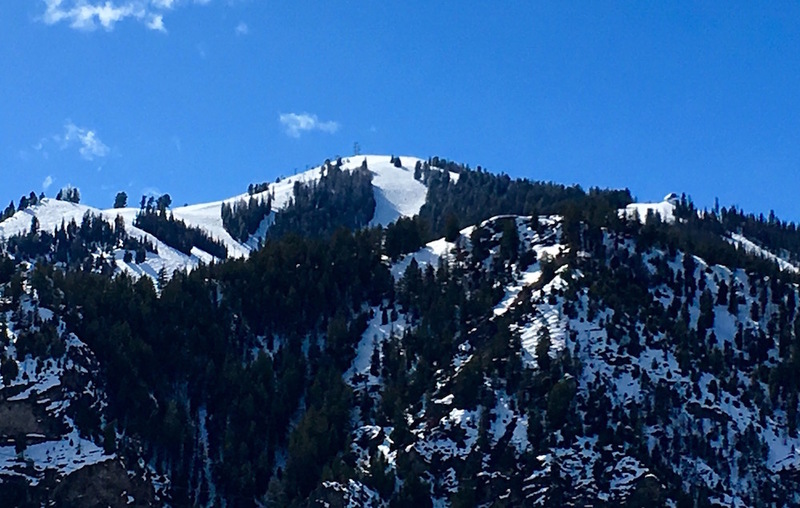 Also in 1936, the first ski lift in America was introduced in Sun Valley with a ski lift ticket price of only 25 cents! In 1939, my favorite author Ernest Hemingway, completed “For Whom the Bell Tolls”, in suite 206 of the Sun Valley Lodge. 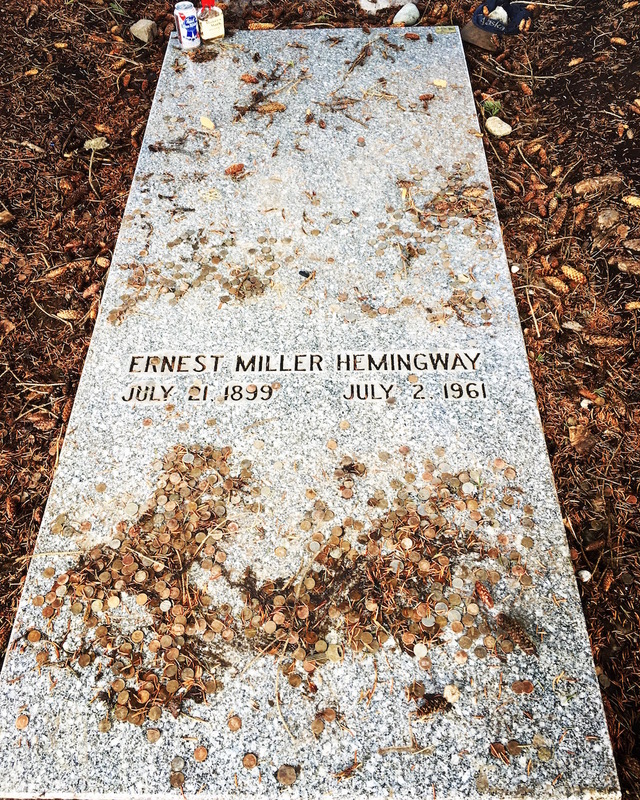 He also choose Sun Valley as his final resting place in 1961. Sun Valley is also a Hollywood and old-money favorite and was frequented by Gary Cooper, Clark Gable, Errol Flynn, Lucille Ball, Marilyn Monroe, many of the Kennedy family and too many others to name. Many famous movies were filmed in Sun Valley including “How to Marry a Millionaire” in 1953, starring Marilyn Monroe, Betty Grable and Lauren Bacall. Marilyn also filmed “Bus Stop” there three years later. And in 1956, “The Tall Men” was filmed in Sun Valley featuring Clark Gable and Jane Russell. On Sunday my husband and I flew from Sun Valley back to Seattle for $120 each with Alaska Airlines. My brother took his time driving the SUV back to Seattle while visiting friends in Boise, ID and Hood River, OR along the way. For this flight we each earned 1,000 Mileage Plan miles plus a 125% bonus as a result of our MVP Gold 75 Elite status, resulting in another 1,250 miles. And because we value Alaska Airlines Mileage Plan miles at 2 cents per mile, we each enjoyed $45 worth of miles deposited into our accounts. Our plane tickets back to Seattle cost us only $120 per person, and we enjoyed 2,250 Mileage Plan miles worth $45 for each ticket! And we saved $2,200 for our two-night stay at the Sun Valley Lodge as a result of a very generous and kind paid upgrade. Overall an impressive She Travels Free weekend with friends! We’d love to hear about your travel success stories so please comment below!